Dogs are such social creatures. 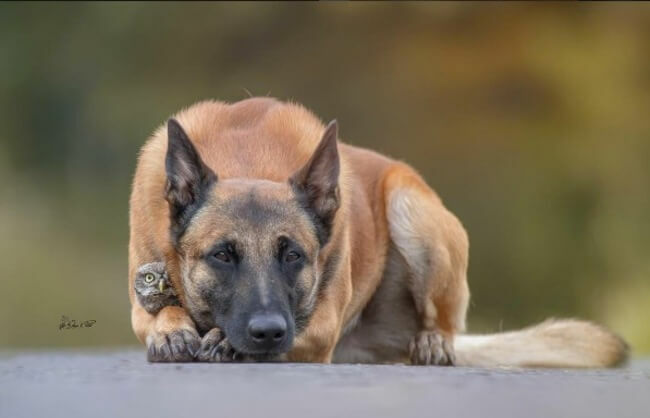 They love to make friends with people and other animals. 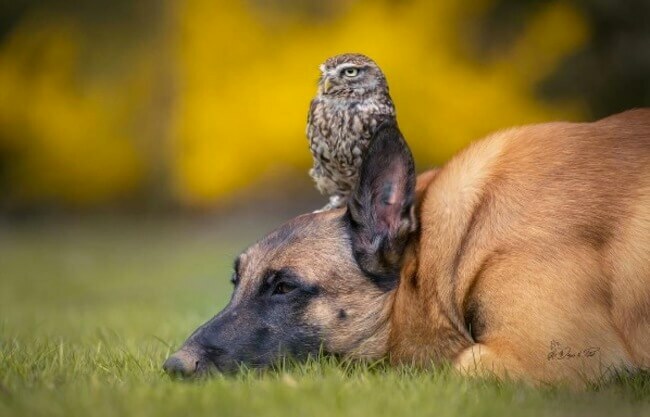 We hear stories about dogs befriending the most unlikely of creatures all the time. We hear about big dogs rehabilitated tiny kittens. We hear about them being best friends with children from the day they’re born. They’re not just man’s best friend but a best friend for all. 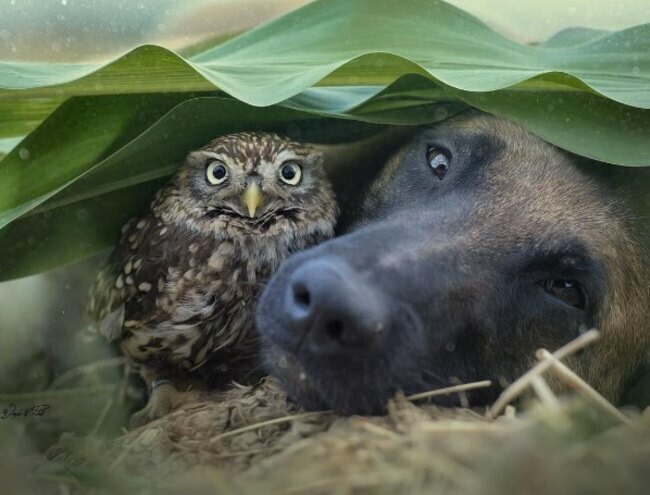 Though it’s common to hear about dogs becoming buddies with other domesticated animals, you don’t often hear of them being BFF with wild animals. These photos clearly show that it is possible. Take a look at these sweet photos and tell us what you think in the comments section. 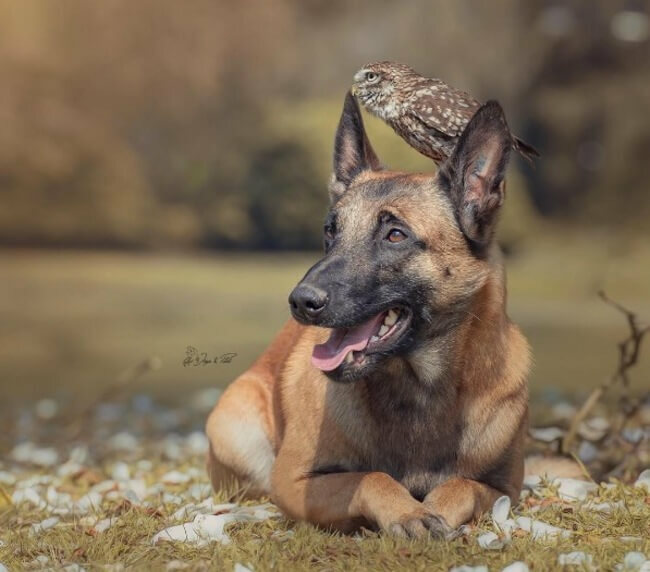 Ingo, a Belgian shepherd, lives in Germany with his human, Photographer Tanja Brandt. 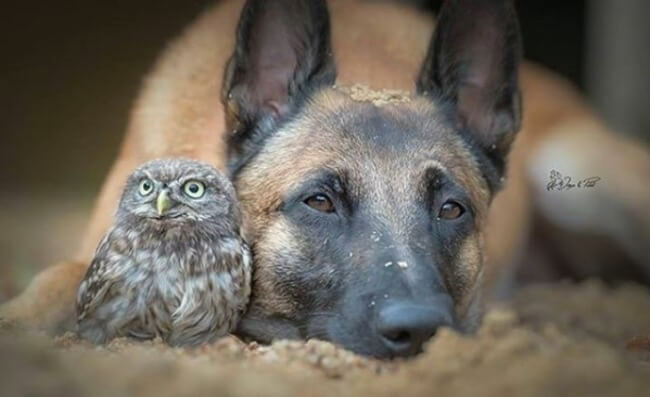 Ingo and Tanja share their home with other dogs and many different types of rehabilitated birds. 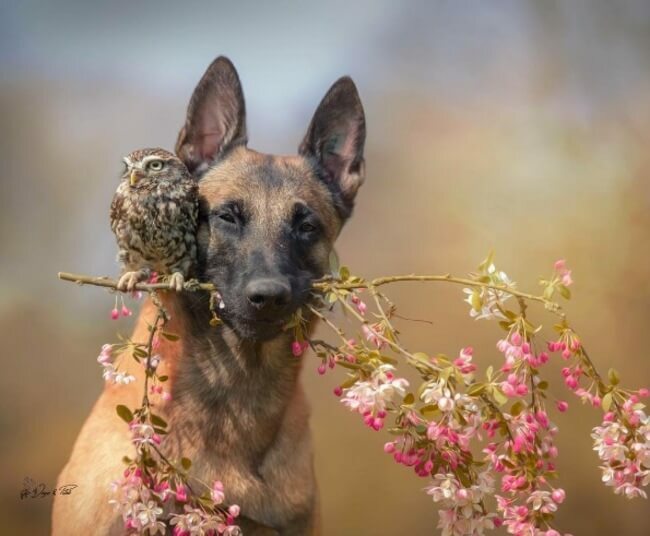 Ingo’s birdy BFF is Poldi. Poldi was the “runt of the litter” so to speak. His egg hatched later than those of his siblings. Ingo sensed that Poldi might need a protector. 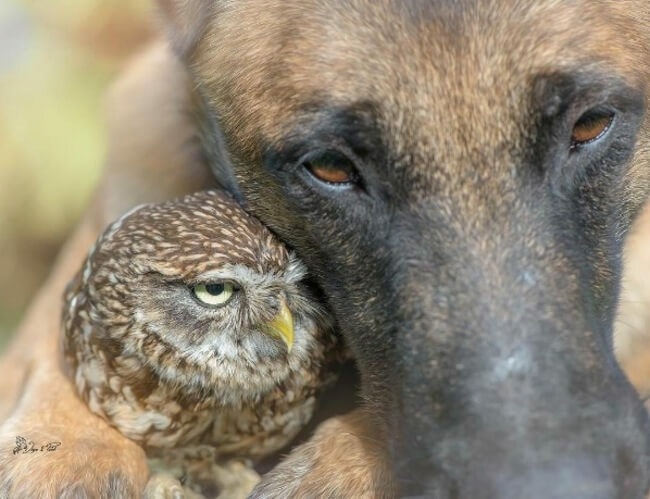 Ingo took to Poldi quickly, as if Poldi was her baby. Now Poldi is older and stronger and has owlets of his own. Poldi and Ingo have busy social calendars these days, as most adults do, but they still make time for each other.